A dragon, a lion and a fire tamer… Are they men enough to share this chimera? In a world of fated mates, Hazel doesn’t have a name tattooed on her wrist like everyone else. She has three. From childhood, she was taught that one day she’d need to choose, and when the time came she did just that, picking one mate over the other even when she loved her dragon shifter just as much as her lion. Now the mate she left behind needs her help. His brother needs to be rescued from bigots who hate all paras. 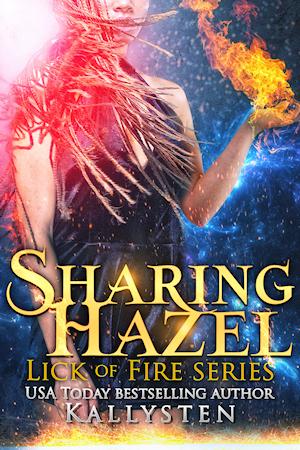 Hazel is in for the ride… before she even realizes it’s her third mate she’s on her way to saving. Time to choose again… or is it time to break all the rules?